Develops skills including logical thinking, memory, observation and focus. 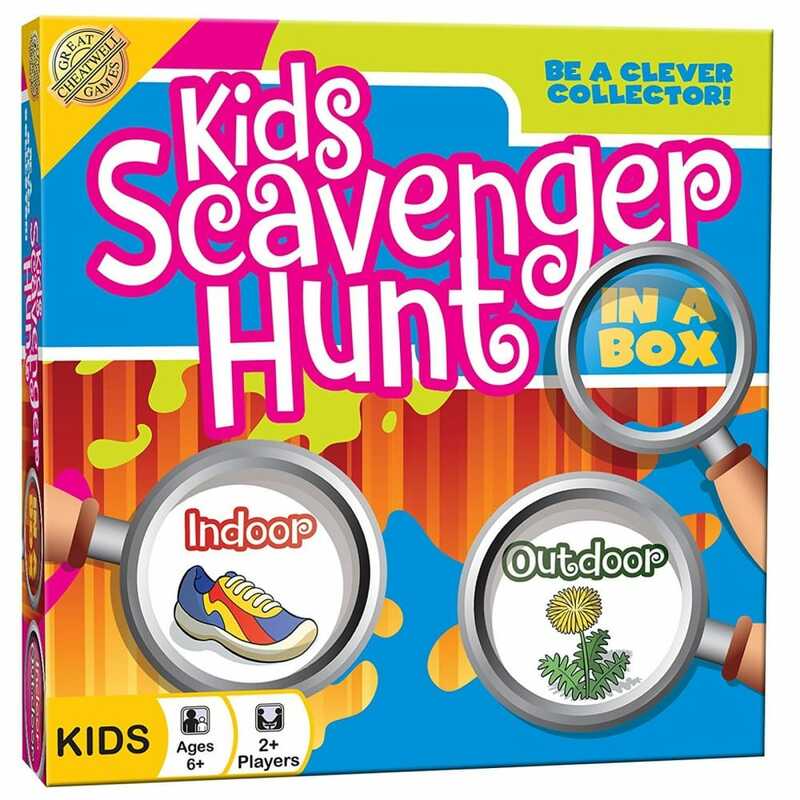 Whether you’re stuck inside on a rainy day or in the park in bright sunshine Kids Scavenger Hunt game is a great way to get kids moving and exploring the environment around them whilst developing skills including logical thinking, memory, observation and focus. Kids Scavenger hunt cleverly incorporates two decks of indoor cards and two decks of outdoor cards so depending on the weather you can play inside, outside or a mixture of both. To encourage the whole family to join in, some of the outdoor cards have a camera icon to indicate that the players need a photo of the item they have found (we figured you probably don’t want a jam jar full of bees brought home). These cards can be removed if required but they’re a great way to get a grown up with a camera or phone playing along. Before long, even the most sensible adult will be rushing round with the rest of their team trying to be the cleverest collector.